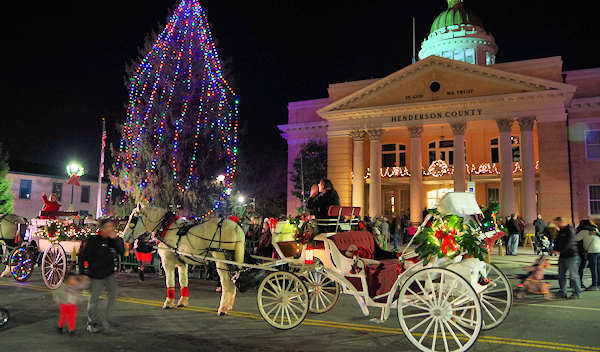 If you haven't been to Hendersonville lately for the holidays, you need to check out all the new, festive events along with magical Main Street decked out in many thousands of lights. With more than 100 one-of-a-kind stores and galleries plus 24 local restaurants, it's a delight to spend the day exploring downtown. 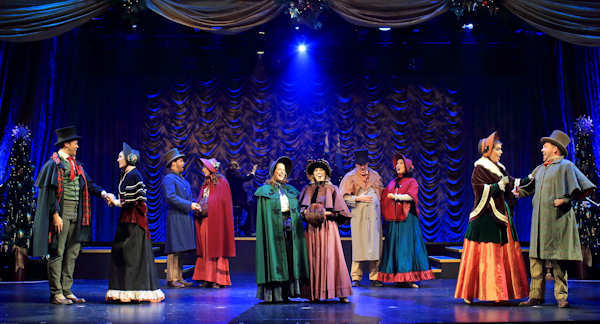 Events during their "Come Home for the Holidays" include Flat Rock Playhouse productions, carriage rides, concerts and even ice skating. This charming, bustling town is just 25 miles south of Christmas at Biltmore and Asheville. 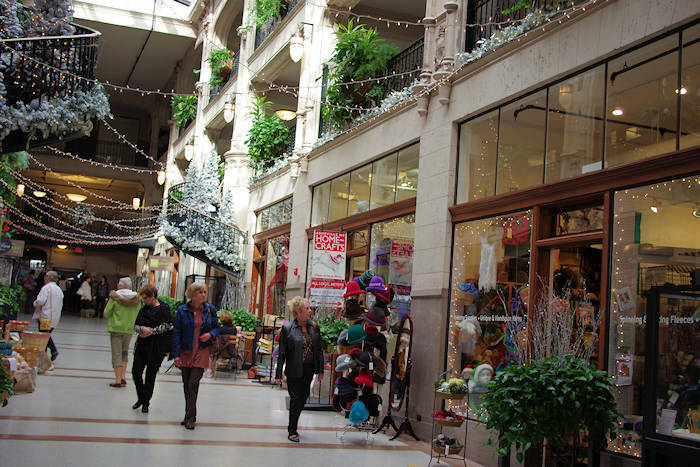 Discover one the best downtowns for shopping in all of North Carolina. Mast General Store is always a must stop. Galleries abound. The charming Main Street of beautifully restored historic buildings looks ready for a Hallmark Channel movie filming! Many stores stay open late, especially on Friday and Saturday nights. 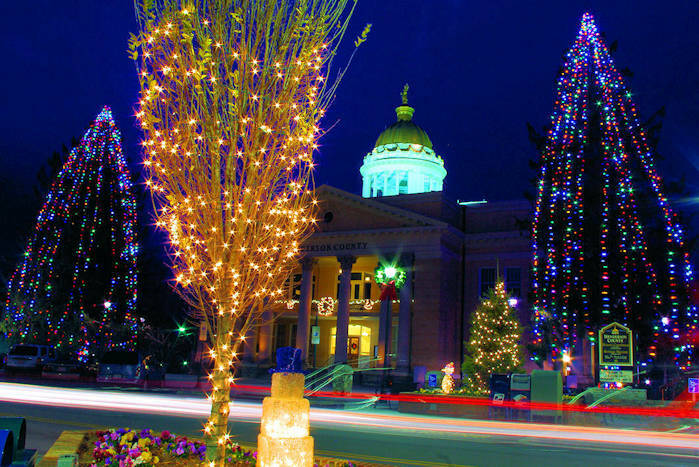 November 23: The glow of thousands of lights, including the giant Christmas trees at the historic Courthouse, kicks off on the Friday evening after Thanksgiving with sing-a-longs, Santa, hot chocolate, carriage rides and great shopping. December 7: During the Old Fashioned Christmas evening, stores stay open until 8 PM. December 9: The Holiday Tour of Historic Inns and Cookie Caper is a self-guided tour of several of the grand homes downtown that are now B&Bs, 1-4 PM. Admission benefits the local preservation efforts. December 18-January 1: The Iceless Skating Rink has synthetic ice for great conditions no matter the weather. It's at the Visitor Center parking lot (201 South Main St). It's open 11 AM-7 PM Monday-Saturday and 1-4 PM Sunday. 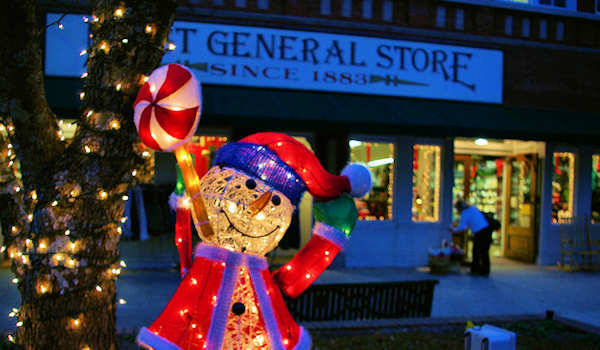 Go to the Hendersonville Web site for a full schedule of their "Come Home for the Holidays" events. Most are free. 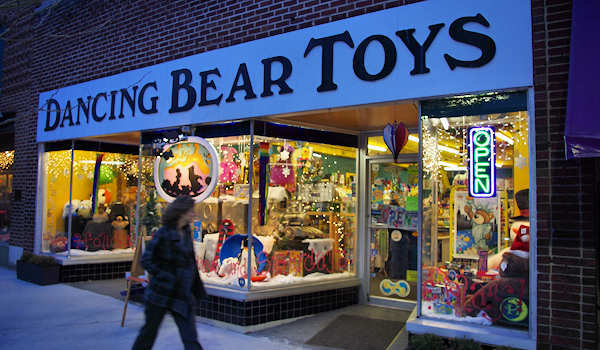 Santa's favorite store is Dancing Bear Toys (418 North Main). Other favorite shopping stops include Carolina Mountain Artists Guild (444 North Main) with creatives by 30 local artists, Wine Sage and Gourmet (416 North Main) kitchen wonderland and Wag! Unique Pet Boutique (231 North Main). 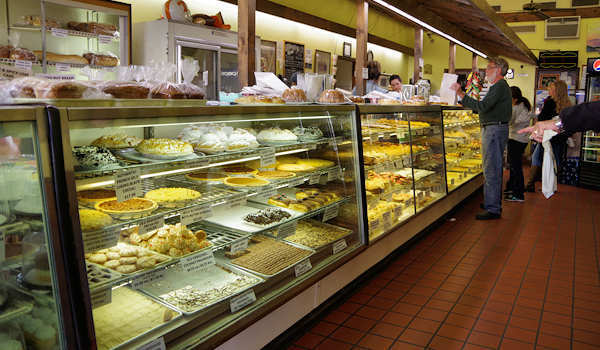 A must stop is McFarlan Bakery (309 North Main), a local's favorite since 1930 with plenty of holiday treats.